Who have you always wanted to invite to your Party? 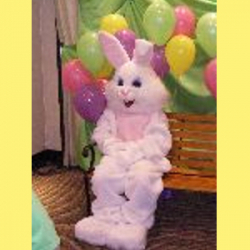 Have you ever wished you could thrill your guests by having Santa Claus or the Easter Bunny at your party? Can you imagine the excitement that these would generate at a child’s holiday party? Deborah’s Party Rentals in Alabama can help make your Character rental a reality. Are you having an event and looking for a specific character? If so, we can help! You can either rent character suits or we can send a professional entertainer dressed in the suit to make an appearance at your party or event. Looking for a way to wow your guests? Look no further, we have the character rental options to fit your needs. 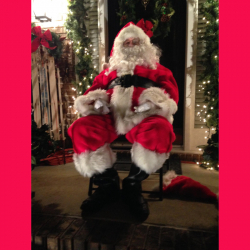 Do you want to have Santa Claus make a visit to your event? What fun this would be for all the guests. Kids will remember a visit from Santa forever. 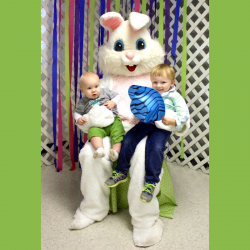 Imagine the excitement if the Easter Bunny visits your springime party or community Easter Egg Hunt. Can’t you just picture the joy on their faces? Who doesn’t love the Easter Bunny? In addition to these characters you can make your event unforgettable with a face painting expert. 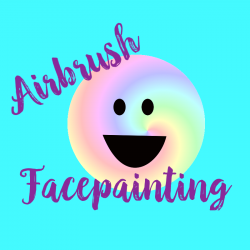 Guests of all ages will enjoy the chance to get their face airbrush painted. Kids and adults alike enjoy sporting handcrafted face art around parties and community events. This is a great way to give your guests an opportunity to actually leave your event with an instant memento of your event.